After the Riots at Stonewall, a major political movement took place which resulted in Gays/Lesbians becoming slaves. Colton Taylor was born with every advantage – except parents who are there for him. His father and mother are constantly absent because they’re too busy keeping up on the family business, and when they are around they nitpick at him and make him feel like he’s only a tool to further their legacy. Colton has no problems with the slaves his family owns. He doesn’t care if they’re gay or lesbian; to him they’re just people. One day he meets an interesting slave named Oliver, and the two hit it off. Eventually they start hanging out (in secret) and a relationship blossoms. Colton knows if his father was to ever find out it would spell trouble but he can’t stay away from the only person who makes him feel special and loved. Even if it means giving up everything he has. Because love is all that matters. And it always finds a way. Michael was born and raised on the Jersey Shore – the geographical location, not the TV show. As such, he cannot boast having tanned skin, a rock-hard body, or being BFFs with Snooki. His version of GTL is gaming, Tumblr, and Lounging. He didn’t know what to do for a living until he wrote a couple of fun short stories as an English class project and made people laugh, something he’s always enjoyed doing and decided that’s what he wanted in his future. A self-described “Otaku” (person with obsessive interests in manga, anime, and/or video games) Michael spends most of his time enjoying those things, becoming emotionally attached to fictional characters and collecting every bit of My Little Pony merchandise available. He lives with his fiancé of five years in the heart of NJ. Want to read his first novel? MICHAEL KUDO is throwing an impromptu giveaway here on The Worlds in Our Stars, and all you have to do is comment below and tell us about your first love! 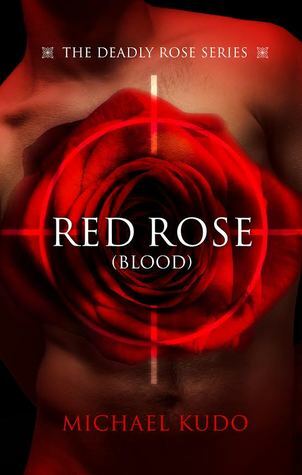 Michael will choose a comment at random to receive a copy of Red Rose Blood by Michael Kudo!